Magnifly 2 is my favorite! I am a Topo Ambassador and the Magnifly 2 is my favorite! 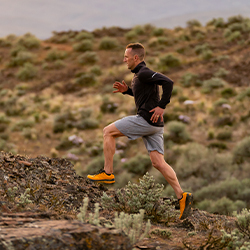 I feel it is the most comfortable shoe that allows my feet to lift easy during my Ultra runs. I won the Jan. 1st 24 hour in my age group wearing these shoes for over 109 miles! My feet did not hurt, the toe room was great! I had not one blister! The shoe made me feel like I was running barefoot with cushion! I love the shoe! A great go-to road shoe at the higher end of the Topo cushioned-spectrum. Topo Ambassador here. I've been running in the Magnifly 2 for about 100 miles. I love the roomy toe box, I have a wider forefoot (I can usually get away with wearing men's shoes, and often do because of color preference). Initially I found the heel to be a little loose, but I was quickly able to fix that by tightening up the lacing. The shoes were incredibly easy to break in (no blisters or hot spots) and they are holding up beautifully after 100 miles in less than ideal conditions (snow, ice, mud, you name it). Glad I didn't go with the men's version for color, I think they would have been too wide. Loving these as my go-to road trainer. These shoes have a bit more cushion than some of the other Topo's I've run in (ST-2, MT-2) and with how many miles I'm having to put in on the roads, I appreciate that. Would (always) love more color options! Now, looking forward to it warming up so I can get back onto the trails! Love this shoe! 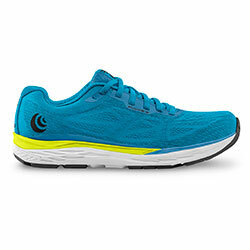 So comfortable and supportive for a zero drop shoe. My runs feel great! 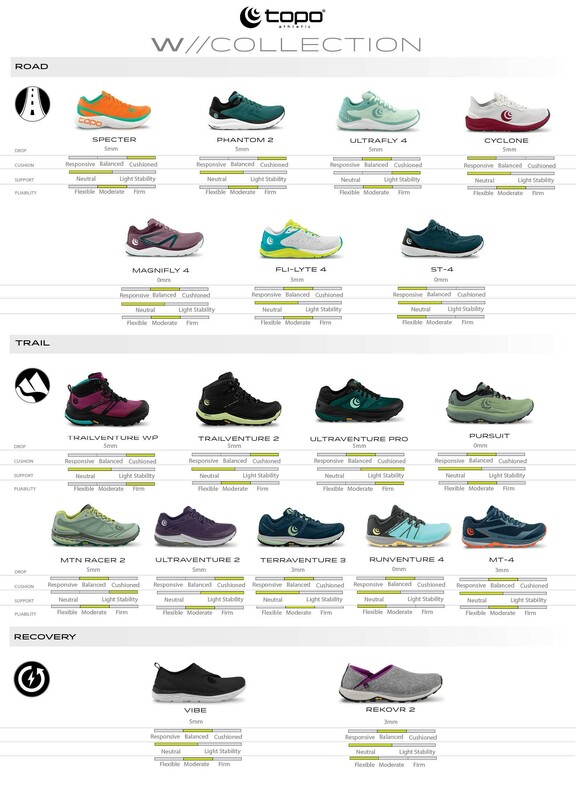 I've worked in the running shoe industry and have tried / owned just about every shoe. So grateful I was introduced to Topo's! This is my second but far from last pair owned! This is an awesome shoe! I love the natural feel with the extra cushion. This winter I trained for Boston and ran Boston in these shoes. This was also a shoe I bought for my mother. She has a major foot/toe injury from when she was a teenager. She has a large pin in her foot which causes lots of discomfort in most shoes. She is an active 69 year old women who walks daily, stands on her feet volunteering in a thrift store/soup kitchen and plays with her granddaughter. I've heard a thousand times how much she loves these shoes and how comfortable she is even standing all day. She even wore them to hike a small local mountain with me (not my first shoe choice for mountains, but she was comfortable which isn't usually the case). Being a Topo Ambassador allowed me to easily introduce these shoes to her and since she has a second pair because she loves them so much. I love these shoes. I am a nurse working long shifts on my feet all the time and needed a pair of comfortable supportive shoes. I typically choose running shoes over say clogs because I do a lot of squatting and leather clogs pinch my toes. I found the Magnifly 2 at my local shoe store while hunting for something that would help with the heel pain I had been developing for a few weeks. 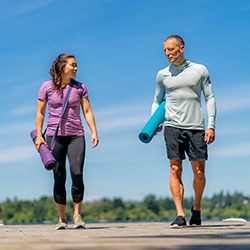 The Topo shoes are supportive, flexible, and the roomy toe box allows my feet to move in a natural way while still being supported. My heel pain has disappeared since I've started wearing them and my gait feels very natural and comfortable. I am so happy I found these shoes! Very cute, great fit for narrow heels. This is my 5th pair of Topos. I am very happy with my purchase. They look very stylish, unlike my Ultrafly 2's which meet my supportive needs but are so ugly. I love the wide toe box and the narrow heel. My foot feels very secure in this pair. The cushion feels nice. I plan to wear them to the gym, light jogging, and to work (12 hours on my feet). I am 1 year post knee surgery and so I still live and breathe in my Topo athletic shoes. I am so happy to find a pair in my size. Topos seem to sell out fast on the website. Please make more! Please don't ever stop making these! I've been running for 40 years and these are literally the best shoes I have ever run in. I had a pair of the Tributes which sadly it seems like they stopped making but since my mileage has increased as I am training for another marathon I though I would try the thicker soles. My first run right out of the box was 14 miles, my feet were in heaven the whole time. I've been wearing them for a couple weeks now and they are still amazing. I absolutely love the Magnifly 2! It is the best model in your range. 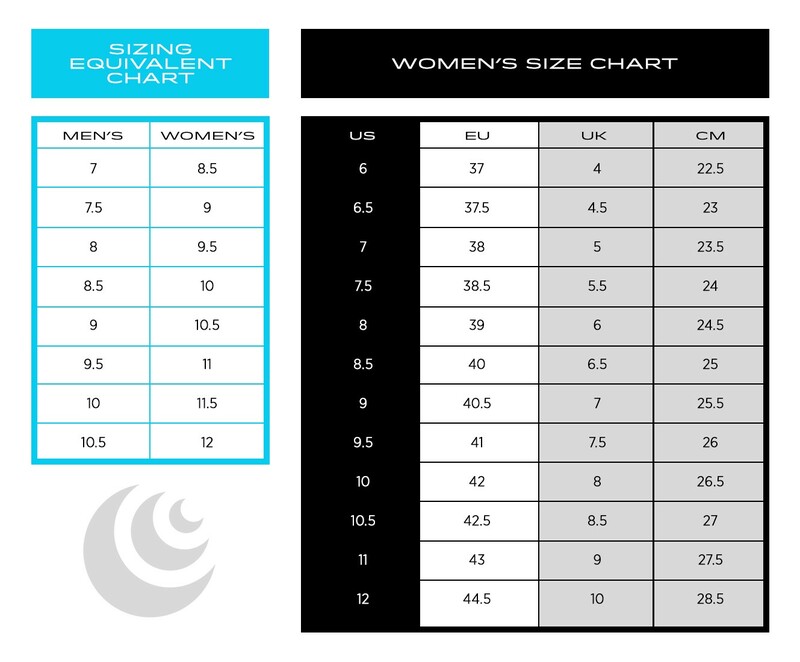 It is true to size, cushioned but still flexible, zero drop and just all around the perfect shoe. Please don’t ever change toe bed width. I have a bunion and have had a heck of a time finding a wide enough toe bed. Finally I have! I’ve tried other brands with wider toe beds but fit wasn’t right. I like a light shoe and this is perfect for support and weight. I just purchased my second pair.